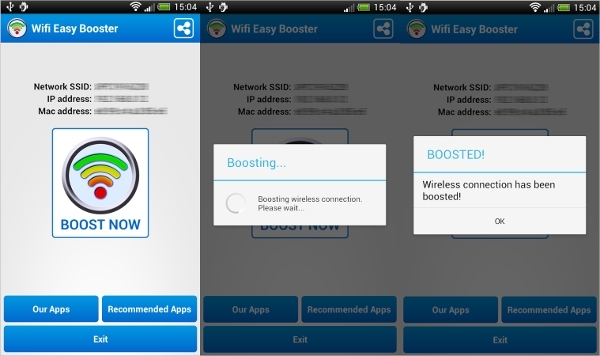 WiFi Booster software, as the name suggests are the software that helps you to increase the strength and speed of your WiFi during its weak presence. 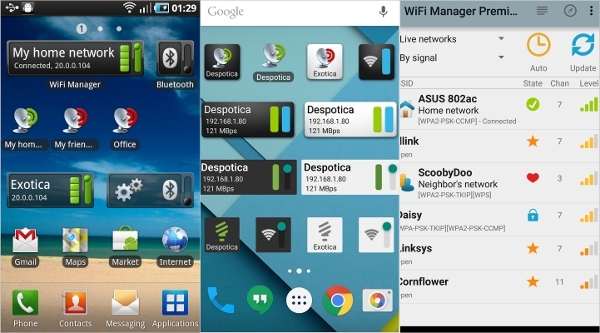 In this article, you will learn about top nine of the best Android App software WiFi booster software that will help you improves your WiFi strength, which in turn speed up your internet connection. 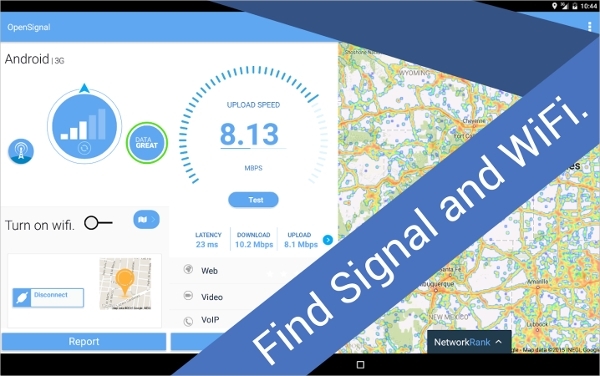 It is one of the best free WiFi signal booster for Android users. It advances the strength of your WiFi signal so that the speed of your internet gets better on your device. Requires Android version 2.2 and above. 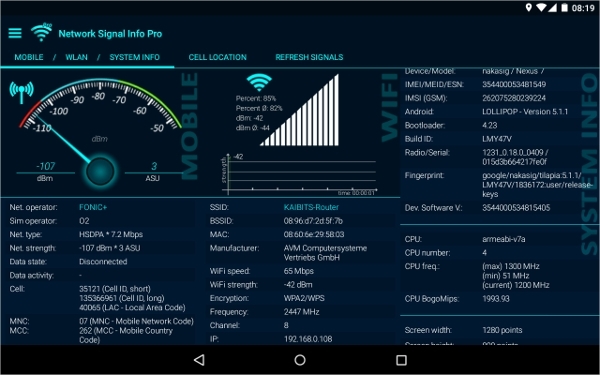 As the name itself suggests, this App is another freeware to improve your WiFi signal and Ad Free App. It has full screen graphic meter of signal strength. Requires Android version 4.1 and above. It enables you to find new devices on your network. Another App to boost your WiFi signal on your devices. It improves and advances the speed of your WiFi and strengthens the connection. Requires Android version 2.3 and above. It enables you to transfer files faster and the speed of streaming better. 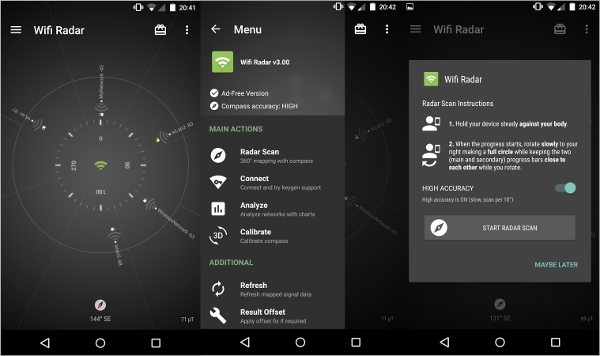 This App makes it easier for you to manage your WiFi networks. It polishes the connectivity strength of your wifi on your device. It allows you to find new WiFi signals in your network. Requires Android version 2.1 and above. It manages your WiFi networks. 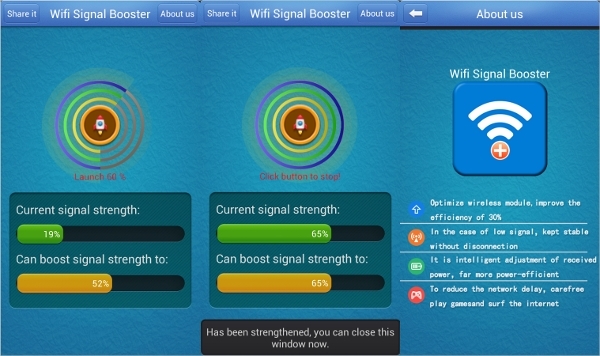 This is important WiFi signal speed booster software for your android device. It changes your android device into WiFi analyzer. It shows the signals of the entire WiFi network available on your surroundings. Helps you find excellent hotspot channels for your WiFi. This Android user friendly comes with many features and tools to improve your WiFi speed. 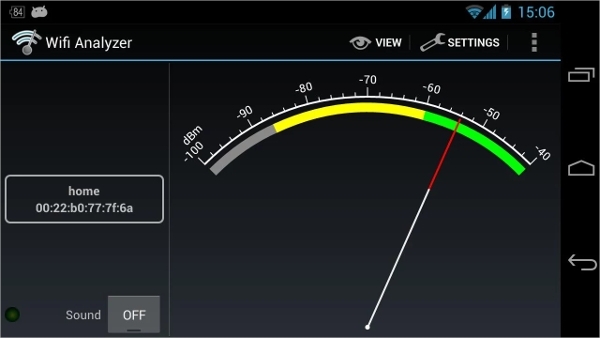 It is Ad free and has option to test the speed of the WiFi connection and direction of the signal. Android version compatibility varies depending on the device. Android App that collects information no matter if it is for WiFi or cell phones connection. You can scan your present WiFi network and provides you with several details of the network signals you are linked at. 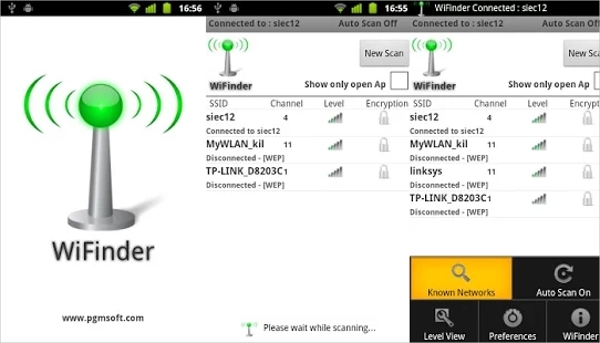 It is a free scanner Android App to let you find WiFi hotspot. Helps you find WiFi hotspot at your nearest location of your Android device. It allows you to connect to such WiFi networks like WPA2, Open, WPA, WEP, etc. 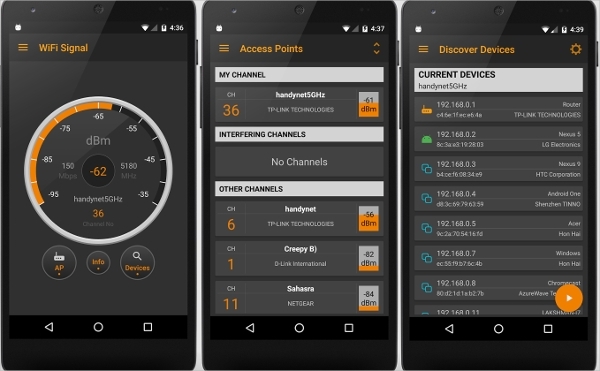 This App analyses strength of WiFi signals and channels. This App makes it easy for you to find WiFi hotspot physical locations around you and thus allows you to choose the best WiFi signal out of them. It has 360° radar scan, compass visualization. After going through this article, you have gained enough knowledge on how to improve your WiFi signal strength, to find the nearest WiFi connection available around you in your surroundings, as well as option to scan the physical location of the WiFi hotspots etc. A device having strong WiFi connection makes your live a lot easier, because it gives you faster speed and with that, you can access faster browsing of the internet, downloading big files, important documents, watch huge video files, online streaming and files at the time of urgency and requirement. Either you are out travelling on the road, airport, railway station, college or university campus, cafes, shopping or any public locations and places, you get to see many WiFi connections on your device network but your own WiFi connectivity becomes lower or less once you leave your own WiFi hotspot. Therefore, with the help of the above top WiFi booster software mentioned in this article, by now you have learnt what you need to do in order to get strong WiFi signal once you are out of your own hotspot location. So, step up your move and download one or more of such software and App on your device so that you are connected all through the places you are visiting and remain in touch with your friends and loved ones without having to stop sharing videos, chats, files and images with strong WiFi connections in your pocket wherever you go. Trust, you will not regret having these Apps in your device all the time.